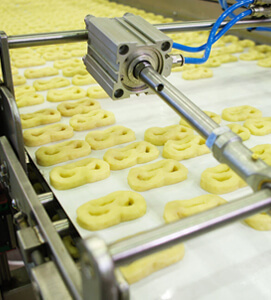 Stringent food safety legislation, rigorous production standards, and complex supply chains continue to present increased challenges to food and beverage companies. Food and beverage manufacturers face serious risks that vary dependent on the nature of their products. It is essential to work towards maximizing your insurance coverage and minimizing your risk exposures upfront. Our team understands the importance of a well-rounded insurance and risk management program for food and beverage manufacturers and how it can improve your bottom line. With our SIA Property & Casualty Insurance System, we take a proactive approach to insurance. It starts with a complete risk management analysis to fully identify the risks facing your food and beverage manufacturing business. With over 30 years of experience, we will be your trusted advisor and consultant for risk management, and work closely with you to design a comprehensive, and cost-effective insurance program. If you are seeking a proactive approach to insurance that is cost-effective for your food and beverage manufacturing business, please call us today at (630) 325-4000 to set up a time to complete your risk management analysis.